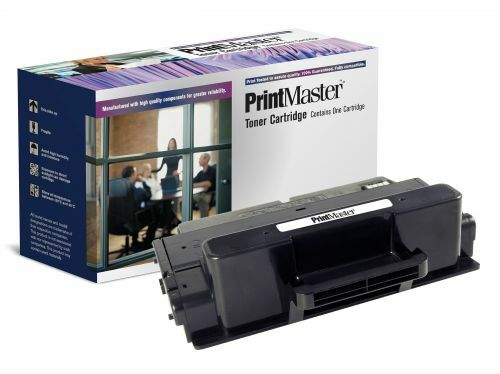 PrintMaster brand imaging supplies are available for a broad range of printing technologies including replacement toner cartridges and ribbons. All PrintMaster imaging supplies are produced in facilities that are ISO 14001:2004 certified and ISO/IEC 19752:2004. You can be assured that our production processes are of the highest quality as well as friendl to the environment. We conduct the same performance tests as the OEMs, ensuring that our cartridges will meet or exceed all OEM print performance standards. PrintMaster imaging supplies are 100% guaranteed. Use of PrintMaster cartridge or ribbons will not void new printer warranties. All PrintMaster products are safe, reliable, and guaranteed to produce excellent print output for the life of the product.